Track goods movements with delays and deviations. Monitor accrual adjustments for changes in routes. 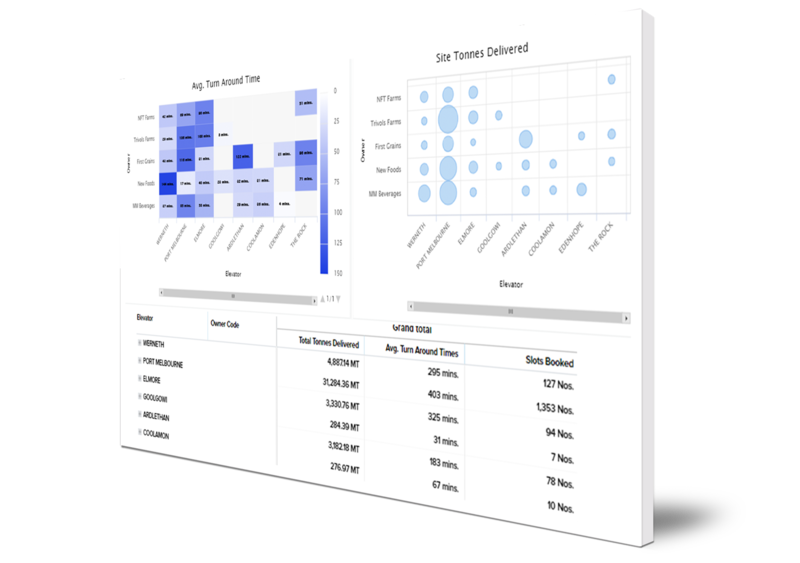 Analyze key performance indicators by logistics company, route, origin, destination, and more. Track goods movement and delays, deviations, and accrual adjustments for change of routes and path. 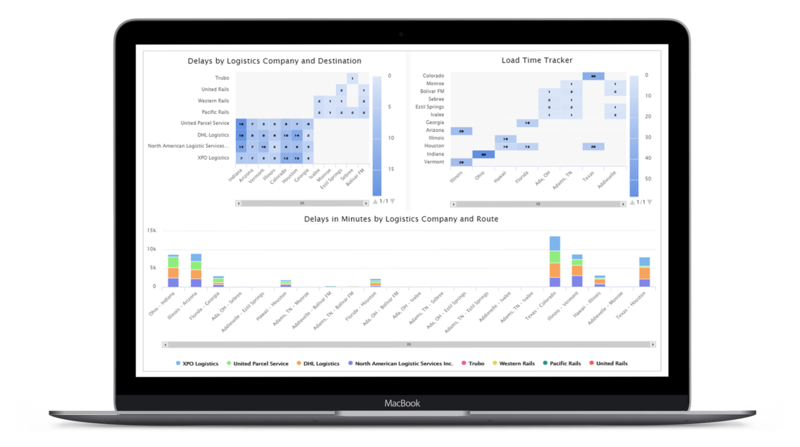 Analyze key performance indicators, including delays by logistics company, route, origin, destination, loading time and more. 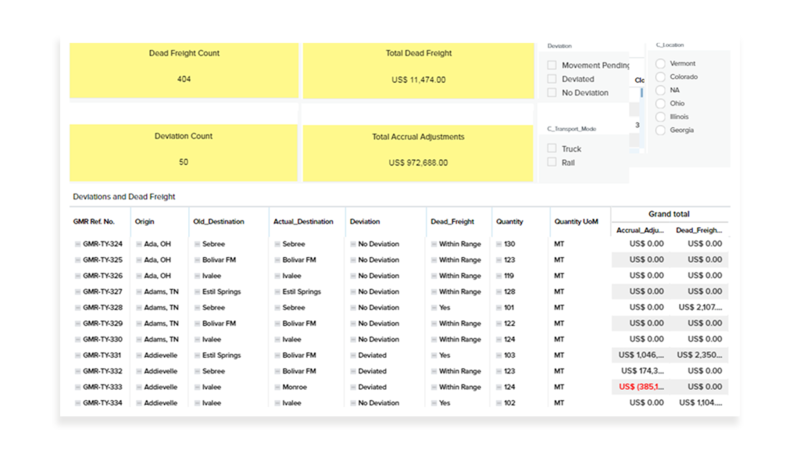 Calculate accrual adjustments for movements that have deviation between plan and actual movements and dead freight calculations. Analyze elevator sites logistics such as total bookings, deliveries, average turnaround time, and unreceived deliveries.